Lin Gengxin is a Chinese actor who is best known for his role in 2011’s Scarlet Heart. Thanks to his talent, graciousness, and charisma, Lin is not only famous in China but he is also an internationally recognized celebrity. After the success of Scarlet Heart, he went on to star in several box office hits including The Taking of Tiger Mountain, and My Old Classmate, among others. He is also known for his role as Yuwen Yue on Princess Agents, one of the most successful Chinese television shows of all time. If this proves anything, it’s that Lin Genxing has a knack for picking exceptional projects to be a part of. Lin Gengxin, who is also known as Kenny Lin, was born on the 13th February 1988 in Shenyang, Liaoning, China. Growing up, he was a shy kid and as a result, getting involved with acting was difficult for him. Not much is known about his early life, but it is public knowledge that in 2007, he attended Shanghai Theatre Academy, a public university in Shanghai, dedicated to the dramatic arts. The university has also produced several of China’s most famous actors and actresses including Li Qin, who starred alongside Li Gengxin in Princess Agents. While still in the university, the actor appeared in several television shows, advertisements, short films, and low budget feature films, proving that he was dedicated to succeeding in his chosen career. Beyond the aforementioned information, there isn’t a lot available about the actor’s early life and childhood. 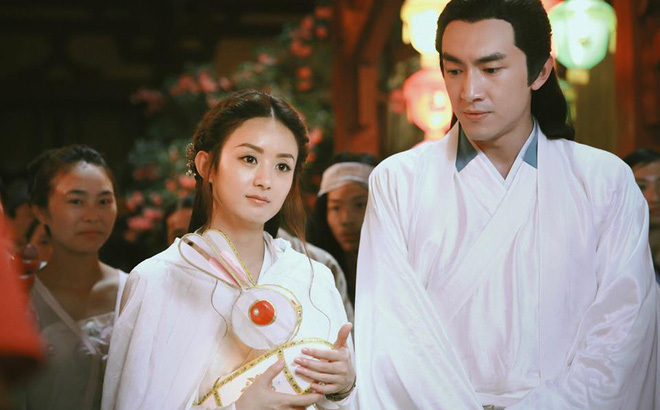 Having been acting since 2009, Lin Gengxin had his big break in 2011 when he played Prince Yinti in Scarlet Heart. Shortly after that, he landed a role in Xuan-Yuan Sword: Scar of the Sky, another successful TV show. The handsome actor then made the leap from the small screen to the big screen with his role in 2014’s My Old Classmate. The 2014 film was a critical and commercial hit and it went on to solidify Lin Gengxin’s place in the entertainment industry. That same year, he also starred in Black & White: The Dawn of Justice. Still, in 2014, he starred in the critically acclaimed and commercially successful The Taking of Tiger Mountain, which has gone on to become one of the highest grossing films of all time in China. In 2015, he starred in the television show, God of War, Zhao Yun and as expected, the show was a massive success. He also starred in Sword Master, The Great Wall and For a Few Bullets in 2016. Other films and television shows he has appeared in include Journey To The West: The Demons Strike Back, Princess Agents and Young Detective Dee: Rise Of The Sea Dragon, which have all been highly successful. Since his break out role in 2011, Lin Gengxin has gone on to become one of the most bankable young actors of his generation in the Chinese entertainment industry. As a result, he is not short of high paying roles as most of his movies have gone on to become box office hits. All of this success has no doubt been translated to impressive net worth. Sadly, his net worth is not available to the public but he is believed to be earning about 100 Million Yuan ($14 Million) annually. Due to his fame and status, many of his fans and the media at large have been curious about his personal life, wondering if he is in a relationship or married. Sadly, Lin takes great effort to keep his personal life private and away from the curious media. Nevertheless, it can be said with all certainty that the actor is not yet married and has never been married. As a result of his privacy, while it is speculated that the actor is single, it cannot be said definitively. 1. The actor has also revealed that in his younger days he had trouble being around girls due to his shy nature. 2. He has also admitted that he struggled with low self-confidence and thought he was being made fun of whenever he was complimented on his looks. 3. While in school, he never got into trouble which he said made his parents very proud of him. His parents have also been said to be very supportive and showered the actor with love and warmth growing up. 4. In University, he was known to be very messy and disoriented because he was always lost in his own thoughts. 5. The actor revealed that he first fell in love when he was 18 but his parents were opposed to the relationship, leading to a breakup between the couple.